I am so happy to share this wonderful moment with you all. The great bloggers from far away, Australia and Pakistan, bumped into my blog, found it as latent and nominated it. I have not had this blog for very long. 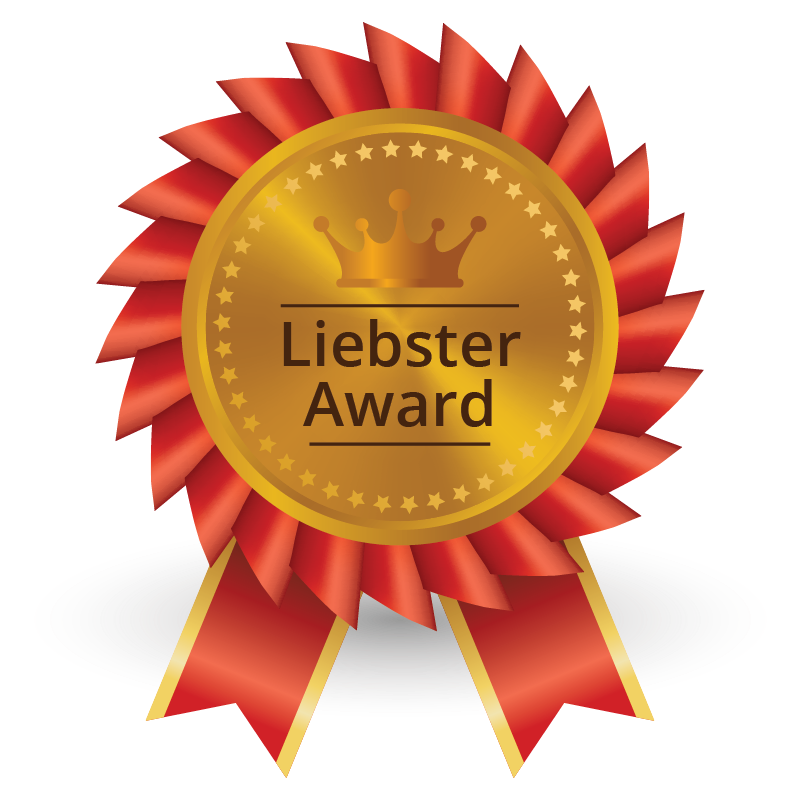 I launched “Scenario of Life” just 10 days ago and was fortunate enough to be nominated for The Liebster Award two times in a week. Delighted! Huge thanks to “team Patroni” and Mukarram Ali Qureshi for nominating me. These are my very first nomination, so I really appreciate it. John and Renee’s kind words: “Preeti, you deserved it. Your blog looks great & has great potential.” This means a lot, John and Renee, for a newbie like me and I am so flattered. John and Renee refer to themselves as “team Patroni”, they love to travel. Their travel blog Drink, Eat, Ride provides great insights into beautiful destinations at the same time food and drinks into the countries they visit. Take a look at their blog here. Mukarram Ali Qureshi is a person who is extremely interested in science. And as his blog name goes A Scientific Perspective, he talks about science. His blog covers science and its relationship with everything. Take a look at his blog here. I am so glad I have got to know John & Renee and Mukarram Ali Qureshi, which I would not have if I had not started this blog! The Liebster award (Global Aussie Liebster Award) is an online award given by bloggers to other bloggers that helps to spread the love and this is how bloggers acknowledge other bloggers they think are fabulous and this award links blogs to each other in terms of an interview. Also, it’s the nicest way to discover the new bloggers, who have potential, in the vast blogosphere. Now, you must be wondering what does the word Liebster mean? so let me tell you that the word ‘liebster’ is a German word which means dearest, sweetheart, beloved, favorite. Once you have been nominated you are given a set of questions to answer and then you get to "pass it on" to other bloggers that you admire. 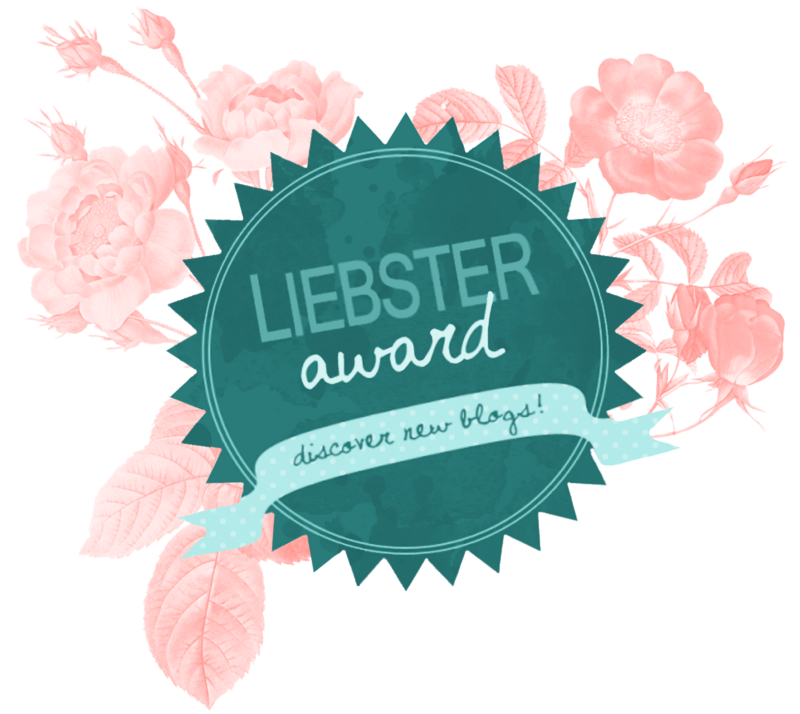 Want to know more about the Liebster award? Click here. Don’t forget to subscribe! 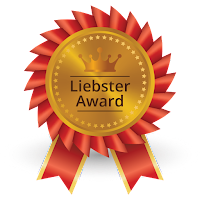 I got a Liebster award twice.!! Dear readers, you are about to learn a lot more about me, so lets being with it. 1. Diet.? I am a vegetarian since childhood. 2. I have 2 major cravings — chocolate and ice cream. 5. I am a shopaholic. 6. My wardrobe always consists of a red and black colored dress. 7. I have studied dietetics and beauty culture, but that is not my profession though. 8. I like Winter and Monsoon seasons, but Monsoon is probably my favorite. The most I enjoy about blogging is expressing my thoughts and sharing an opinion with others, being able to be creative with words and ideas. Having a platform where you can connect with the outer world is the biggest blogging benefit I feel. Well, you must have read in my first post that I do poetry and yeah I get writer’s block a lot, I just can’t figure out the words to write, my creative juices just does not flow at times. Then what I do.? I don't write, I just do something else with my time, like listening to music, reading a book, surfing the internet or just spend time with my family and friends. Well, personally being a new blogger I don’t know if I can answer this question to the point, but still I would like to say that - don’t compare yourself to any other blogger out there, everyone has their own writing style, so just stick to your personality and write in that way only. And yeah one cant be a star overnight so just be patience, “Success does not come easily,” even if it looks that way; it takes time and a lot of hard work too. 4. Is blogging a full-time job for you? No, blogging is not a full-time job for me. But you never know, one day it might be. I just do not know now. 5. What has been your favorite country, why? Can I skip the question, please? It's really tough to answer this one. I would stay right where I am, my hometown. My roots are here. But, still, to answer your question, I would say Australia, maybe Sydney or Melbourne. It depends! For a living, it's country. And for vacation, a beach would be the winner, no doubt. 8. What is your ultimate goal for your blog? I like to express my thoughts via writing but as of now I don’t have an ultimate goal with my blog, except to reach out to as many people as I can with my posts and making my subscriber list. 9. What advice would you give someone wanting to travel? My advice would be to prearrange and consider every possible angle. Make sure you have everything you need. 10. What post are you most proud of, link it here. As I am a newbie into blogging, there are only 2 posts in my archive now and I would like to link the first one. Click here to read it. 11. What is your favorite travel quote? 1. Which country do you belong? I am from India and I am proud of being an Indian. 2. Do you have any interest in Science? 3. Do you earn from your blog? If yes then how much? If no then do you want to? As I have recently started blogging so no, I don’t earn from my blog now, but yeah I would love to and who else don't want to? 4. Describe yourself in 20 words? Preeti is a person who is very particular about her things, very sensitive, overthinker, dreamer, nature lover, loyal, friendly, sometimes lazy, etc. 5. Do you believe in God? If no then are you an Anarchist or Atheist? 6. Do you Study? If yes then what are you studying? If no then what do you do? (besides blogging). I work as a Medical Language Specialist. 7. Did you like my Blog? Yes, I like your blog. It was one of the Indian Singer. At that time I was in 9th grade I guess. (Shhh! Don’t tell anyone). 9. Blogging is your Hobby or Passion? Well, its more than a hobby, I like blogging and I am enjoying it. 10. What would you suggest to your fellow bloggers to improve their followers? I would suggest to get social as much as you can and of course promote your blog. 2. Why did u start blogging? What inspired you? 3. Aside from your own site, what’s your favorite blog? 5. What do you do when you get writer’s block? 6. Your house is on fire! Aside from people, what do you save? 9. What is your favorite inspirational quote/quotes? 10. What motivates you to keep blogging? 11. Describe a typical day in the life of you! Congratulations to all new nominees! I look forward to reading your posts with your nominees and questions for them if u choose to accept the nomination. Have questions on how to accept the nomination.? 1. Write about Liebster Award on your blog and of course answer the questions I have for you. 2. Nominate other bloggers you feel who deserves the award. Keep up the good work, nominees.!! So happy to share the love to all of you. Thank you once again John & Renee and Mukarram Ali Qureshi for nominating me, this means a lot. I have never thought my blog would be up for a nomination or an award and that too so soon. The blogging community is truly wonderful, thanks for coming up with such great ideas to help newbies like me. Readers …Wish to get involved? Tell 3-5 random facts about yourself in the comment section below. And if you would like to share your thoughts, then please feel free to do so. Happy blogging for all the bloggers over there.!! A very hearty congratulations dear.. Yes you deserve to get these awards.. Keep going.. I believe you will be the best in this field. We would also like to see your poems. Even many of your readers may like to read it..
Again a very hearty congratulations and All the best for your bright future.. Thank you so much dear for believing in me. Yeah, I will come up with my poems too in the forthcoming days. Until next time, stay tuned. Congratulations! I enjoyed reading your post, thank you for participating. We wish you all the best for your blog. Huge thanks to you John & Renee. I am glad you enjoyed reading my post. Yeah, I actually was. And along with morale and psyche, it encourages us to come up with new things/posts. Congratulations from a former MLS!! Really happy to hear you are achieving all this in such a short period.congrates keep up the good work. Hey Sidex, thank you so much :-) Very kind of you to say so. Congrats.i can imagine, it must feel wonderful. Hey Harneet, yeah it really feels great when your work is noticed and appreciated. Congratulations, girl! I totally agree with the ice cream and chocolate thing. Thanks for sharing! Thank you so much. Nice to hear that you like chocolates and ice creams too. Those are absolutely delicious. 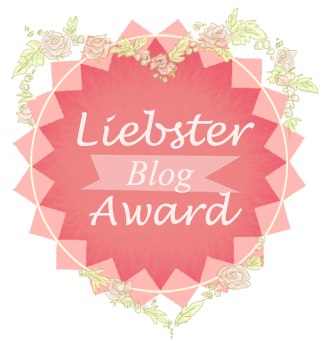 I love your blog but you have already been nominated for Liebster award. Women like you are an epitome of courage,who face abuse and go on with their lives.Hopefully,this will change soon.